We are china-based metal parts manufacturing company providing world-class quality at China prices. We produce quality CNC machined parts, sheet metal fabrication, metal stamping prototypes and production, wire forming parts,deep drawn enclosures and related metal parts. certification and have been implementing the strictest quality control procedures during the production process to assure the products quality of each shipment of goods. rolled steel, stainless steel, galvanized steel, aluminum, brass, copper, titanium sheet, etc. Most of the surface treatment such as zinc plating, chrome plating, nickel plating, polishing, hot dip galvanized, powder coating, aluminum anodized,stainless steel electrolytic polishing, electrophoresis , sand blasting, etc are available. We have a wide range of advanced equipment which support us to satify every request from our customers.Our equipment are:mechanical presses from 5T to 400T, hydraulic machine 315T, 700T, CNC shearing machine, TIG/MIG welder, resistance spot welder, threading machine,CNC lathes, sawing machine, drilling machines ,milling machines, polishing machine, vibratory deburring machine, etc. Our maximum stamping capacity reaches 1300mm(51″)X1000mm(40″), material thickness 12mm(0.47″), deep draw depth 450mm(17.7″). As a export-oriented manufacturer,we have beem working with many European and Japanese company for many years. During so many years experience with oversea companies, we understand the quality request from customer very well. We concentrate on every tiny quality issues. Facing the fierce competition, we understand that key ponits to get survival is to offer good quality with reasonal price for even small orders. Reasonable price. Even though the chinese labor cost is going up, our price is still competitive compare with many othercountries. Reliable quality. Many years experience in this field and advanced equipment ,which enable us to offer reliable quality for each order from our customer. Small order is acceptable. Many companies don’t like small order and they prefer big quantity order only. 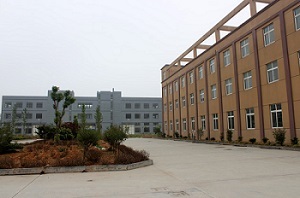 However,our factory accept small order and fulfil the small order at good quality. Design/Engineering. We offers complete 3D design. We can take existing designs and improve on them or design your product from the ground up using an idea or sketch. Platforms include Solidworks, ProE, Unigraphics, and Catia. New Product Development. We not only make metal parts according to customer’s drawing or sample,but also we can help customer take new ideas and turn it into a reality to bring to market by our many years experience in metal parts.